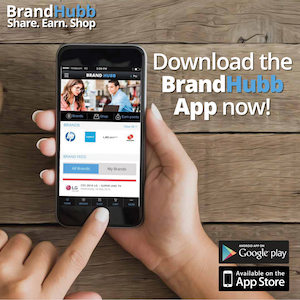 In pursuit of an app that meets the modern day need and allows users to personally connect with the brands they engage with, BrandHubb is pleased to announce the first app of its kind where connectivity is the key driving force behind the brainchild that interlinks social media and e-commerce which personalises the experience between a user and a brand. BrandHubb provide users the opportunity to personally follow all of their favourite brands within their social media pool whilst offering brands the same platform to display their products. The app also allows brands to upload video content, post articles and carry out important customer surveys which the user can engage with and choose to share in exchange for redeemable points. BrandHubb is about the user’s experience and their willingness to engage with brands that offer them something more than just product. This relationship affords the brand the opportunity to reward the loyalty of the user for not only interacting with the content but for sharing it with their friends. Contact me at thelifesway@gmail.com if you want me to attend your launch events, blog and share on all my #socialmedia channels #TheLifesWay or to be a #Brand_Ambassador for your products and services!